Georgica Pond is a beautiful ecosystem. Located in the Town of East Hampton between Wainscott and East Hampton Village, this ~ 300-acre coastal salt pond hosts an array of aquatic life unlike any other water body on Long Island. At its northern extent, Georgica Pond receives robust quantities of freshwater input from an array of tributaries, streams, and groundwater. 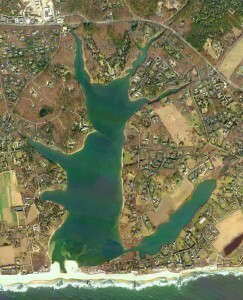 To its south, Georgica Pond is bordered by a narrow slice of sand separating it from the Atlantic Ocean. 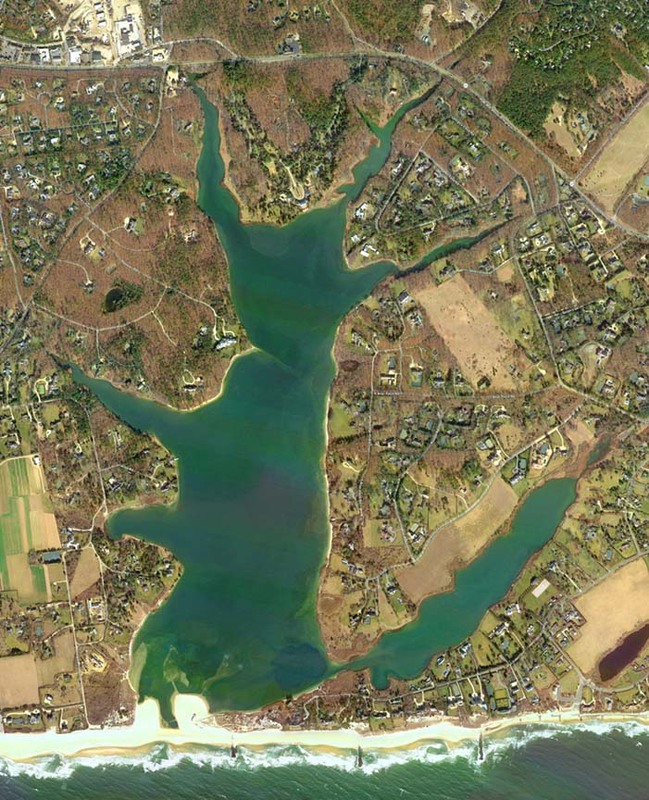 For centuries, the East Hampton Town Trustees have periodically opened a ‘cut’ or inlet between Georgica Pond and the ocean, allowing pond water to exit and ocean water to flush into the Pond. After days to weeks to months, natural sediment transport processes close the inlet, with more extended openings causing the Pond to reach near ocean salinity. However, once closed for an extended period, Georgica Pond can become an almost freshwater system (salinity <5). These dynamic shifts in salinity make Georgica Pond unique and allow it to harbor a great diversity of aquatic life including one of the most productive blue crab fisheries on Long Island. In addition to its beauty and uniqueness, Georgica Pond is also a fragile ecosystem. There are clear signs that the natural balance of this system has been upset. In recent years, Georgica Pond has experienced a series of environmental threats including toxic algal blooms, dangerously low oxygen levels, and fish kills. Beyond the dangers these water quality issues pose to wildlife in Georgica Pond, the presence of potent neurotoxin and liver-toxins in the water from blue-green algae represents a serious human health threat that could intensify without intervention. While the problems plaguing Georgica Pond have been identified by the monitoring efforts of the Gobler Laboratory of Stony Brook University, a series of critical knowledge gaps prohibit the implementation of effective remediation efforts. The residents of Georgica Pond have shown leadership in addressing these issues by engaging and supporting a research plan devised by Dr. Christopher Gobler to gather key missing information to help develop a management plan for Georgica Pond and to better inform the Georgica Pond community.